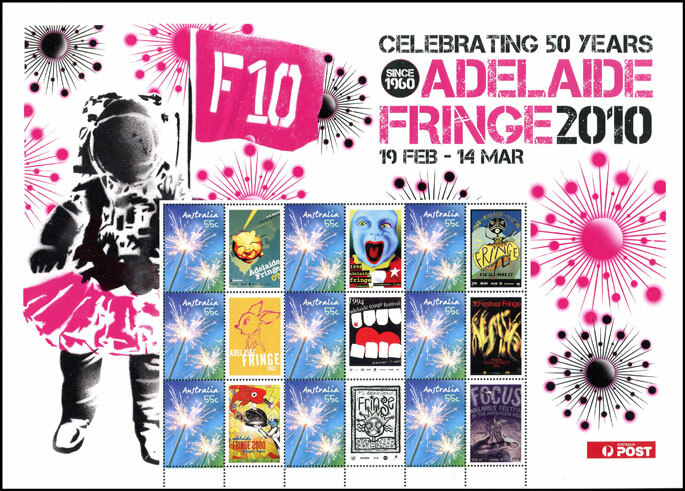 The celebrate the 50th Adelaide Fringe Festival, Australia Post issued a souvenir stamp sheet. This website will not class this issue as a reprint. 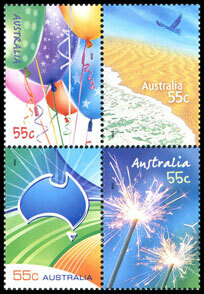 The Sparklers stamp is a current definitive, and has simply been reissued in a new format; nor has the sheet been produced because stocks of this stamp have fallen below a particular level. 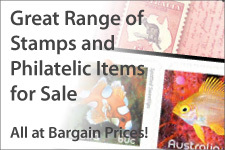 More information on the difference between reprints and reissues is given on my reprint page. The first time this stamp has appeared in a vertical strip of three. 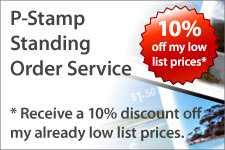 The first time in a sheetlet of nine stamps. The sheet is printed by RA Printing, while the original was printed by Energi Print. Despite being printed by a new printer, this stamp is virtually indistinguishable from the original. 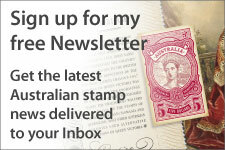 Specialist collectors are advised to leave the tab attached to this stamp. As mentioned above this sheetlet produced a new vertical strip of three, and a new sheetlet of nine.